Nikon appears to be ‘fishing where the fish are’ with the release of two new compact cameras with telescope-like optical zoom ranges. These zoom ranges pale in comparison to the 125x B1000, recently mentioned in The Australian as a new alternative for paparazzi photographers: ‘The Nikon P1000 can discreetly capture objects and people kilometres away, beyond the reach of other far more expensive cameras with unwieldy telephoto lenses,’ wrote The Australian’s national crime writer, David Murray. But back to the new releases: The A1000 – (right) which succeeds the A900 – features a 35x optical zoom lens (24-840mm) which crops down (up?) to 70x. It claims ‘the highest zoom ratio in a compact camera body’ (as opposed to the more chunky ‘bridge camera’ style). The tiny 1/2.3-inch (4.8 x 3.6mm) CMOS sensor has 16 megapixels and up to ISO 6400 sensitivity. It records 4K UHD/30p video with wind noise reduction, and still frames can be saved. It has lens shift VR stabilisation for still images, with added digital VR for video. Electronic viewfinder is a respectable 1166k-dots, backed up by a touch sensitive, tilting LCD screen at a similar res. It shoots RAW and offers P/S/A/M exposure control. There’s a macro close-up mode enabling shooting as close as 1cm at the maximum wide-angle position. 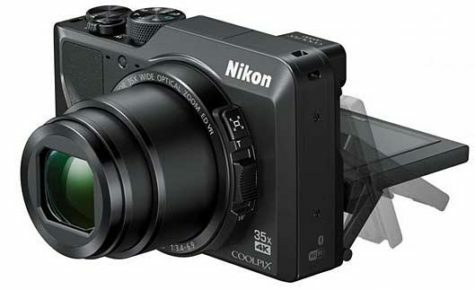 It weighs approximately 330 grams and although pricing is secret Nikon Australia business, the UK price is 409 quid, so maybe $750 – 800 in Australia. The Coolpix B600 (left) has a 60x optical zoom (24-1440mm in 35mm format). Or 120x zoom cropped. Vibration Reduction (VR) offers three stops of shake correction. 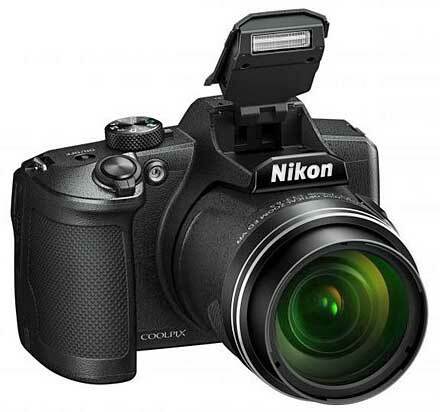 It has the same 1/2.3-inch 16-megapixel CMOS sensor as the COOLPIX A1000 and a 921,000-dot TFT LCD. There is no EVF, so good luck out in bright daylight. Video is only to HD 1080 resolution. The camera body weighs 500 grams. UK price is 329 pounds. The Inside Imaging guesstimate is consequently $600 – 650.